This post is part two of a two-part series on this topic. Six months ago I brought home a new bass guitar and a little amp to see if I could learn how to play. I set up a little “music studio” in my home office, set the bass in her stand (yes, she is a female bass named Roxanne – 10 points if you get the musical reference) and I stood there looking at Roxie wondering exactly what I was doing. I thought, “how silly is this – a grown man thinking he could be a rock star.” Yet, I was determined to give this new adventure at least six months of my very best effort. My first private lesson was more than a week away, and I didn’t want to wait that long before playing a note. So, I jumped on YouTube to watch some “how to play the bass guitar” videos. What I immediately realized was that I had no clue about this instrument. I knew that it had a neck and strings, but other than that, I was clueless. My first online lessons were the most basic available – the parts of the bass and how to correctly hold it. This was the moment when I realized that my feelings of inadequacy, ignorance, and incompetence were very similar to what our students might be feeling every time they are introduced to a new, possibly difficult concept in school. This was an “Aha” moment for me as I made the first connection between my new hobby and my life as an educator. The experienced teacher had become the neophyte student. At my first lesson, my new teacher (I will call him Charlie, because that’s actually his real name!) told me he has had numerous adult students over the years, and with practice, they “have become proficient, sometimes excellent, musicians.” And there was the second connection to my professional life. Based on Charlotte Danielson’s Framework for Teaching, we educators strive to be excellent. As Charlotte would say, we generally live in the world of Proficient and occasionally visit the world of Excellent. I found it prophetic that Charlie would unknowingly use these terms in his first lesson with me. I told myself that I wanted to be excellent. Charlie gave me an assignment at the end of that first lesson. I was to learn the first two pentatonic blues scales he had written out for me. Scales? I wanted to play tunes!! But, I also realized that I was going to have to learn some basics before I could jump into the fun stuff. Then, after a few days of playing, I could actually sense a little “bluesy” feel in the scales, and all of sudden it became more fun. This is where I made my third connection. Our students also have to learn the basics before moving on to deeper, more complicated learning. Our jobs, as educators, is to make even the most mundane learning as engaging as possible. At my second lesson, in addition to learning more blues scales, Charlie gave me two songs to play. They were “Iron Man,” the 1970 hit by Black Sabbath and “Working Man,” the 1974 not-a-hit by Rush. According to my teacher, both songs were simple enough for a very beginning student to learn the parts. We went through them a few times, and off I went to rock out at home. Time for my fourth connection – learning something completely new is very hard, super frustrating, and takes a lot of hard work and numerous failures. This is what we tell students, but as adults, how many of us actually experience the kind of frustration and failure that might just make us want to quit? But, we talk about F.A.I.L. (First Attempt in Learning), and we talk about the need for grit, so quitting was not an option. Week three of bass playing was very tough for me. I practiced and repeated the parts over and over, but I just could not get my fingers to cooperate with my brain. I went to my next lesson with a defeated attitude. Fortunately, my optimistic teacher could tell that I had been trying really hard to master two simple songs. He was empathetic, telling me about his beginnings as a guitar player, how he struggled often, and how he persevered through some dark moments when he wanted to quit. Thus, I made my fifth connection. We must empathize with our students as they struggle to learn new and difficult tasks and skills in school. I want to reiterate that I used the term “empathize” not “sympathize” when thinking of children learning in school. They do not want us to feel sorry for them; they want us to understand what they are going through as they struggle, fail, and then succeed. Well, a few weeks went by, and I continued to practice at least one hour each night. Then came my sixth connection between learning something new and my work as an educator. During one fateful lesson, Charlie looked at me and asked how much I had been practicing each night. I told him and he said, “Well, it has definitely paid off. Based on how you just played that part of the song (“Another One Bites the Dust” by Queen) I can honestly say that you have made more progress in five weeks than just about any adult student I have had in the last 10 years!” He then went on to explain where I had made progress. Well, I drove home in a daze of happiness, glowing from the honest praise I had just received. The power of praise! It does miracles for someone learning something new. It stimulated and invigorated me, and it made me want to practice more and harder. Now that six months have passed, I can report that I have learned 14 songs, not perfectly, of course, but well enough that you might be able to recognize them if I played them for you. Last week, I made my seventh connection. I discovered the importance and power of making learning authentic and providing a public forum beyond the classroom. In this case, the connection is directly related to Project Based Learning. According to the Buck Institute for Education, making learning authentic and providing a public forum for students are two major tenets of PBL. Learning to play an instrument became authentic and public for me when I played in my very first music recital. Although I only played one song (“Message in a Bottle” by The Police), it was in front of an audience of 50 people! By committing to play in the recital, I had chosen to take a huge risk. I could have made a complete fool of myself which might have ended my career as a rock musician. This became my eighth, and final, connection to my professional work. In order to learn something new, we must be willing to take risks and make ourselves vulnerable. The same goes for our students and our teachers. Taking a risk, a leap of faith, is a great way to build character and self-confidence. So, that’s my story. Most likely, my bass playing will not take me any further than my home, my lessons, and the occasional recital. But, that’s ok, because I have learned so much more in the last six months than just some scales and 14 songs, and I have had so much fun doing it. By the way, Roxanne is currently in the store for her six month tune-up. I really am missing her, and I hope to see her back home soon! This post is part one of a two-part series on this topic. “All work and no play can make Dave a dull boy,” Said Dave. About a year ago I had been reading about the importance of creating a balance between one’s work life and one’s personal life. That’s when I realized I needed a hobby that was completely unrelated to my work as an elementary school principal. Working hard is good; it is a virtue that is instilled in us from an early age. But, these days, with the incredible 24/7 access we have to our work worlds, we easily can get accustomed to sitting in front of a computer, on our tablets, and on our phones emailing, Voxing, texting, Tweeting, and blogging. If we are not careful, work can become so all-encompassing, that we can lose touch with other important aspects of our lives. So, after about five months of contemplating different recreational activities, it struck me that I should consider learning to play an instrument. I had played the trumpet growing up, so how hard could it be to learn a new instrument? After another two months of contemplating what instrument I should pick up, I finally settled on the bass guitar. Why the bass? Well, there were a few reasons. First, it was completely different than the trumpet (that ship had sailed long ago), nobody else that I know plays the bass (whereas lots of people I know play the 6-string guitar), the bass has a really cool sound to my ear, and, of course it’s the instrument of my favorite rock musician Geddy Lee, of the band Rush (that’s an obsession story for another day). In March, after a trip to Sam Ash, I came home with my new Fender Jazz Bass, an amp, and all the accessories necessary to become the next great rock bassist. This was going to be amazing; I was so excited to start my new adventure! Except for one minor detail – Learning to play an instrument is REALLY HARD – Way harder than I had expected. Well, at school we talk about the growth mindset and showing grit, so this was my opportunity to see if I had the grit and fortitude to stick with something very difficult. I committed to taking weekly lessons and practicing at least 30 minutes per day. I got this, right? I am happy to report that since March, 2017, playing my bass is what I have been doing in my free time. I can tell you that this experience has been both fun and frustrating, and I also can tell you that learning something completely brand new as an adult has been an eye-opening experience. I think this is especially true as an educator who has entered the world of the neophytes. 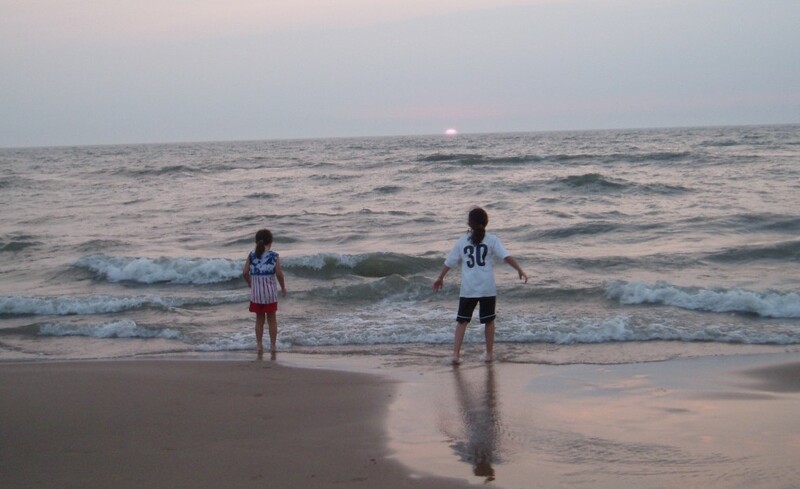 In part two of this series of posts, I will try to explain why this has been such an eye-opening experience and why I now have a different perspective on what children might be experiencing when they are learning something new. Over the last 30 years, I have seen a lot of different models of staff professional development. We have brought in speakers, sent people to workshops, provided books to read, held focus groups, and offered after school classes, to name a few. Very often, the topics for the PD have been created by administrators or small groups of teacher-leaders (e.g. the district curriculum committee), and the topics have focused on areas identified as weaknesses or areas in need of improvement. Our math scores have dropped – let’s bring in a math expert to teach teachers to do a better job teaching math. Students are misbehaving in classrooms – let’s show videos at a staff meeting on effective student discipline techniques. What if we stopped operating on a deficit model, that focuses on a learner’s weaknesses and started operating on a strengths-based model that builds on the learner’s strength? For the purposes of this post, let’s use the term “learner” to mean teacher, administrator, or student, because we all are learners, and we educators must be modeling learning for our students. Couros shares some research that found that people were more engaged in their work when managers focused on their employees’ strengths – rather than focusing on improving their weaknesses (or ignoring them completely!). He explains the need for strength-based professional development where educators further develop areas in which they are already strong. I would add to this by including PD based on educators’ passions and strong interests. I am fortunate to work in school district that has moved most of the professional development work back to the local schools. I think this is great, but we need a new, better model for this to be effective. So, this year, I plan on implementing a strength-based mindset, or model, for PD. At the start of the school year, we will ask staff members to reflect on their strengths, passions, and interests. Then, we will survey them for PD ideas based on these. The next step will be to sort the strength-based ideas into four or five similar clusters. Each staff member would self-select a cluster based on a strength, passion, or interest, and NOT on a cluster where they felt they needed to improve. We will call these clusters “Learning Leader Cohorts,” or LLCs, that will meet at least monthly to study, discuss, and plan around their strength-based topic of choice. Each LLC will be self-directed, will develops goals for the group, and will define measures of success for the school year. I will provide the resources they may need to dig deeply into their topics. The LLC members will keep notes on their work in a shared document to which the entire staff will have access. Finally, each LLC will present their work to the entire staff at least twice during the school year. What Do I Do All Summer? Thanks for Asking! Our superintendent, Mike Lubelfeld, recently wrote a blog post about this topic as it relates to his job. Coincidentally, the same day I had read Mike’s post I was asked by two different people (a parent of a student and a personal friend of mine) what I did all summer with the teachers and students out of the school. Speaking of reading, as of today, I have read five professional books, and I have started a sixth book. I have really enjoyed all five of these books, and I would highly recommend them to other educators. My list, with a brief explanation is below. In addition to reading these books in June and July, I have offered to purchase a book from this list to any staff member interested in reading between now and the start of school. The Innovator’s Mindset by George Couros – George spoke to our entire district staff last October, and then I saw him again at a conference this past June. This book is written for those interested in understanding why innovation is necessary in schools. He provides a great definition of innovation and he sets the foundation for creating an innovative culture in a school. The Energy Bus by Jon Gordon – Jon Gordon is one of the foremost experts on inspiring people to lead positive, forward-thinking lives, regardless of the curve balls life throws at us. In this book, he provides a 10-step plan for overcoming common life and work obstacles. There is a student version and program as well, which I will be learning more about this later in the summer. The book is written from a business perspective, but Gordon folds in a lot of school-applicable material. Teach Like a Champion 2.0 by Doug Lemov – I highly recommend this book for anyone looking to create powerful learning environments that will help all students make dramatic progress over the course of a school year. Lemov provides 62 detailed teaching techniques that are proven to be successful in classrooms. There are videos of lessons included with the book! Learn Like a Pirate by Paul Solarz – Paul is an elementary teacher in Palatine, Illinois who has been recognized as one of the best in the country. In this book he shares methods you can use to create a successful student-led classroom. It has tons of practical examples that are innovative, engaging, and empowering for students and teachers. These activities are fully aligned with the Danielson model of excellent teaching. Empower by John Spencer and A.J. Juliana – This book provides educators with a roadmap that will inspire innovation, authentic learning experiences, and practical ways to empower students to improve their passions while in school. It is written in a different style than other professional books, which makes it an interesting read. The Power of Positive Leadership by Jon Gordon. I just started reading this one based on seeing and listening to Gordon speak over the summer. Our work as educators is often difficult, and I am the first to admit that it sometimes taxes our spirit. The promise of this book, which is to leaders stay positive when facing numerous obstacles, and tests on a daily basis, has piqued my interest. I hope you will take a closer look at some of these books. Feel free to comment with other great summer professional books to read. Every classroom has them. The students who try their best to be invisible. They hardly raise their hands, they hardly volunteer to read aloud or answer a question or lead a discussion. They may be perfectly well-behaved and compliant, facing the teacher or the board, watching what the others are doing, or just sitting on their hands. These are the kids whom many teachers speak about with a gleam in their eyes; the kids whom many teachers love to have in their classes because they are respectful rule-followers. But are these kids engaged during meaningful discussions? If you answered yes, how do you know? Just because a student is “physically engaged” in the classroom does not mean he or she is “cognitively engaged.” In other words, I could walk into a classroom and immediately pick out the physically engaged students. You know who they are – the kids sitting quietly, watching their teacher or seemingly paying attention to another student who is speaking. But what I can’t do is walk into a classroom and immediately determine which of these students is actually listening, processing, making connections, questioning, or creating hypotheses. The only way to know if these quiet kids are learning is to ask them what they are learning or thinking. And there’s the rub with introverts – getting them to feel comfortable enough to speak in class or share what they are thinking. During the last two week, I had two moments of clarity regarding introverted students. First, I read a blog post written by Jennifer Gonzalez titled A Mild Case of Fisheye. “Think all of your students are participating in class? Take another look.” Gonzalez’s lead-in grabbed me. This is a great post describing how the best class discussions are only engaging for the extroverts. A teacher asks a great question, a few students provide thoughtful, interesting, or provocative answers, and a discussion ensues – but only for those who are participating. But what about the quiet ones? The Introverts? Are they engaged? Gonzalez expertly explains why equitable participation in classrooms is important. As she writes, “The quiet ones must learn to speak.” And, “The talkers must learn to listen.” She provides good strategies to bring out the introverts in classrooms. Additionally, Gonzalez has written another post titled The Big List of Classroom Discussion Strategies. Here, she provides 15 highly discussion strategies for teachers to use to engage ALL students in the classroom. This is a great read with terrific strategies. 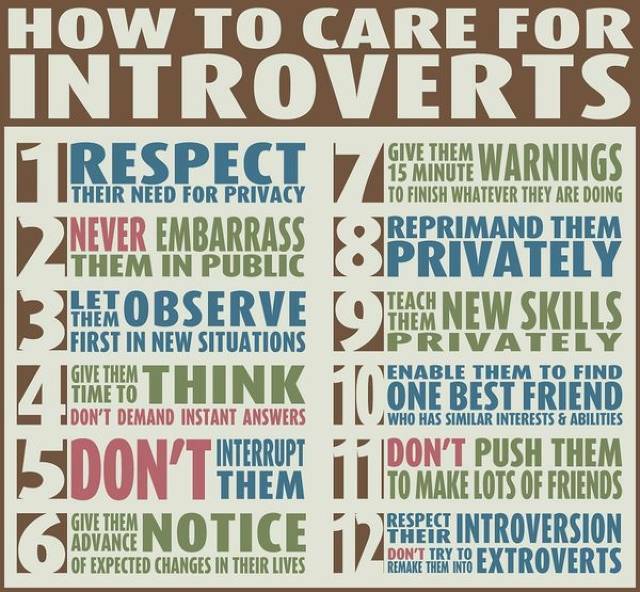 As we all know, this profession really has little room for introverts. I am expected to a be a dynamic public communicator who can give speeches at the drop of a hat. I am expected to say the right things at the right times to keep students, teachers, parents, and the community motivated to passionately pursue our school’s mission and vision. I would put good money on the probability that Brian was one of those quiet kids in class who did not raise his hand very often in class. Two weeks ago, our instructional coaches and I shared the two Gonzalez blog posts with the teachers in our school. We asked each teacher to try one discussion strategy to engage all students in meaningful and thoughtful discussions. I am pleased to report that the teachers came back with very positive comments regarding the strategies. We put together of a shared document of all the successful strategies that I will share with the entire staff. The goal for us as a staff is to engage all kids – the introverts and the extroverts. I like a good piece of chewing gum after a meal or after a cup of coffee as much as the next guy. I happen to be partial to Wrigley’s 5 Cobalt Peppermint gum. Great flavor that lasts forever. Anyway, the recent packs of this delicious gum include a little game printed on the wrappers called “Truth or Dare: Choose a Stick, Take a Chance.” Sounds like fun, right? That is what I thought, too. Really? 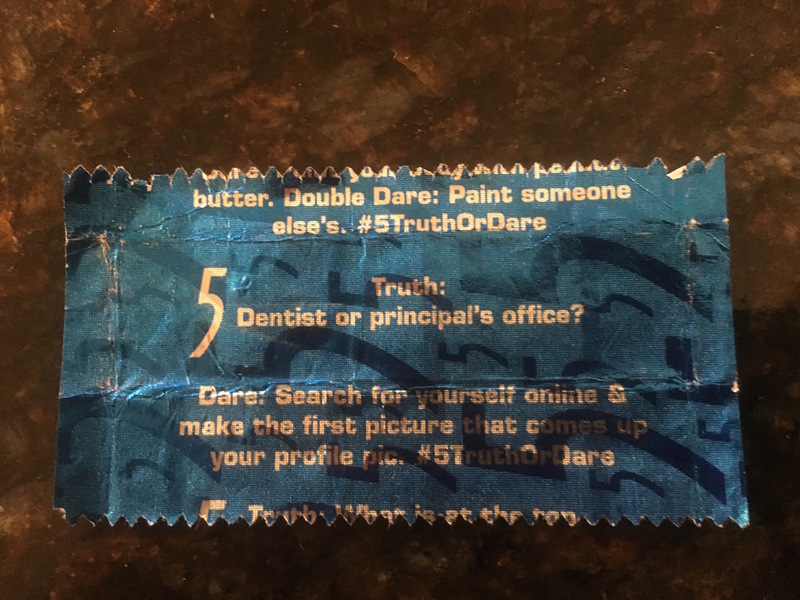 Tell the truth: Would you rather go to the dentist or the principal’s office? We principals are being compared against dentists who stick needles into our gums, use power tools to drill down to the nerve endings, and yank out our molars? I certainly am not an anti-dentite; some of my good friends (and my brother-in-law) are dentists. But, is going to the principal’s office really as bad as going to the dentist? I think not. If that is the case, then we principals have a lot of work to do to change our image. The question is how do we do that? Obviously, we still are living under the notion that the principal is the person to whom kids get sent when they are naughty; that’s his or her only job. Back in the day, maybe that was true. There used to be true fear in the idea of getting sent to the principal’s office. It was that place way back in the corner of the main office where kids went in, but did not come out. I still cringe when parents whom I am meeting for the first time tell their young children, right in front of me, “I don’t ever want you to go to HIS office!” And that is the child’s first time meeting me. No wonder we are in this predicament! Upon reflecting back to my elementary school days, I hardly ever saw the principal in the classrooms, the halls, the lunchroom, or on the playground. (Unfortunately, I did see him in his office a few times, but that is a topic for a different blog post). Maybe if he had spent some time with the kids, they would have seen him as a regular guy who was personable, smiled, had a sense of humor, and cared about them. So all you principals out there please join me in reshaping the public perception of the principalship. (Check out any TV show or movie that has a school principal as one of the main characters. How is he or she typically portrayed?) Get out there and show the world that principals are people, too! We are currently in the middle of National Principals Month. This is the perfect time to set the record straight – visiting with the principal is way more fun than going to the dentist! Remember – the Principal is your PAL!! 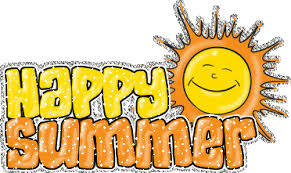 Enjoy the month, my friends! Regardless of the source of that quote, I have come to believe this to be true. When I first signed on to Twitter, I was not so sure, however. I saw this cool new tool as another way to chat with people and share innocuous tidbits about their lives. I now see Twitter as an invaluable source of information for educators. The number of teachers and administrators using Twitter is growing exponentially, and these folks are writing about all of the important topics of the day. You can get opinions on all of these topics, and you can find amazing resources for teaching and learning. Over the years, I have been to many, many professional workshops and conferences, and I have gained knowledge at these events. However, I would argue that I have learned as much in the last few years on Twitter as I have in the last 29 years as an educator attending on-site professional development sessions. Today was a watershed day in my life as a Tweeter. Until today, I used Twitter on my own to connect with others around the globe, and I have participated in Twitter chats that I have found quite valuable. But, until today, I have done my Tweeting outside of the school day, on my own time. What a great idea for professional development within a school district! (I can say that because it was not my idea!) Because we all have so much to offer, discussing these topics in group chats had the potential to be valuable for all participants. I can say that the chats in which I participated were terrific. I now can go back to each of these hashtags and read the string of comments to learn even more. None of us would have been able to do that if we held in-person discussions in classrooms. Furthermore, the discussions can continue forever if people choose to keep the chats going. Finally, because these hashtags are public, we had other Tweeters from outside the school district joining our chats. There is no way we could have gained insight from others if we held traditional face-to-face inservice meetings. All-in-all, today’s experiment in Tweeting was a huge success from my point of view, and I would recommend that other school districts try this approach. Feel free to check out our hashtags. There were a lot of great thoughts shared regarding eight important educational topics. For information on hundreds of ongoing educational chats on Twitter, check here. Thanks to @Jeff_Zoul, @mfaust, @Arubin98, and @mikelubelfeld for bringing this idea to our school district! Well done! Subscribe to The Principal and Interest via email.